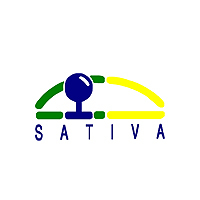 SATIVA, Desenvolvimento Rural, Lda., founded in 1994, is a Portuguese inspection and certification body for products and systems with procedures and a structure that allow efficiency, impartiality and confidentiality. Organic farming was the ground of SATIVA as a certification body and is still the main scheme and driving force but soon other needs came from our operators, asking for other certifications, and SATIVA can now offer certification in several standards which could give operators a practical and efficient all in one solution. SATIVA has a team of experienced technicians with appropriated academic skills and expertise that are able to adapt to the diverse work situations that SATIVA is dealing with. Portuguese is the mother tongue for all the staff but English, Italian, French and Spanish are also working languages.